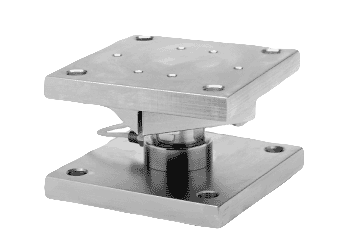 The 9108 Omnicell features a compression designed load cell suitable for extremely large capacity tanks, bins, reactors and storage silos. The 9108 has a UBC Zone 2 rating and features easy installation and self-checking capability. Mounting hardware is hardened tool steel with nickel plating or 304 series stainless steel. The Omnicell 9108 comes with 25 feet of polyurethane load cell cable.